DUCK RAGU OVER PAPPARDELLE PASTA. I know, I know- a lot of things going on here, so let's break it down into bite-sized niblets. 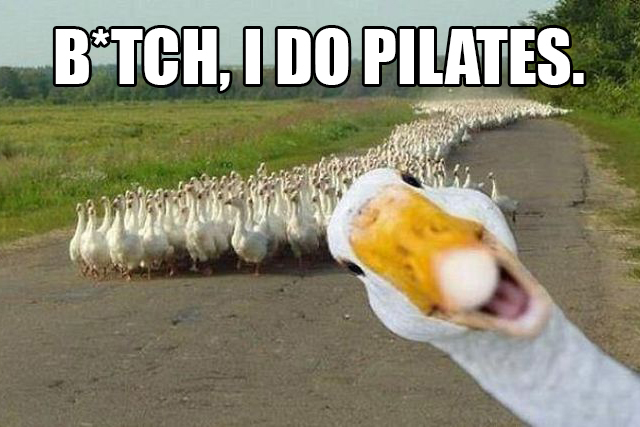 Yes, Duck. No, It does not taste like chicken. It's just one of those things that you have to try to find out if you like it, like escargot or Madonna's new album. Duck meat is fattier and has a gamier flavor. It is also visibly darker than that of a chicken. My unofficial culinary adviser/cafe boss blew my mind when he explained why this is so: Ducks can fly. Chickens cannot. (They only cross roads.) As the comparably active bird, their blood vessels are more pronounced. Think of them as juiced like Pauly D from Jersey Shore whereas chicken are more like Screech from Saved By The Bell. The Ragu we're working with here is not that sad canned excuse for tomato sauce. Ragu is a term to classify meat-based pasta sauces like bolognese or, I dunno, THIS ONE RIGHT HURR. Pappardelle pasta is a broad and flat noodle that acts as a perfect hammock for hearty sauce. Its name comes from the Italian word, 'pappare', which literally means 'to gobble up'. K. Don't mind if I do. But first! I happened to make this recipe on the 19th anniversary of my Nana's passing with the help of my mom, the best sous chef that a lifestyle amateur could ask for. I like to think that if Wi-Fi exists in heaven, my Nanz tuned in to this episode of Snapcooking from start to finish to watch as we spent the afternoon cooking up a great meal- the preferred recipe for making memories in our family. To catch the abbreviated version of this delightfully informative post clad with shout outs to Danity Kane, click here to view the Snapisode on my Tumblr and add me on Snapchat (Username: TheOliveEye) to tune in live the next time that I'm back in the kitchen cooking up something scrumptious. Without further ado, PAPPIAMO DWEEBS! This ragu recipe comes from Kate Williams on Serious Eats. Due to the lack of fowl diversity at my local supermarket, I was forced to purchase an entire duck as opposed to just four legs. Drunk on water kefir, I stared at the only whole duck in the poultry case and thought nonchalantly, "Whatevz. I'll just use two legs and two wings." My buzz disappeared when I went to prepare the duck, realizing that I would have to BLINDLY BUTCHER A BIRD FOR THE FIRST TIME. I will spare you the gory details of gizzards plopping out unexpectedly and me deciding on incisions by singing 'Dem Bones', but I will tell you this: Use a very sharp knife and be very careful. If you have never worked with poultry in this capacity, save yourself the trouble and find a grocery store where individual duck legs are available. Curing is a method of adding flavor to meat by letting it rest in combination of salt, sugar, or other nitrates for an extended period of time. This recipe calls for the duck to cure in a mixture of kosher salt, pepper, thyme, and garlic cloves for eight to twelve hours in the refrigerator. If preparing this dish for dinner, get this process going the night before so that your guests aren't waiting until midnight to eat. Without washing the duck, remove its skin and pat it dry before tossing it in the salty mixture. The next morning, rinse it off, pat it dry, and let it come to room temperature while you prepare your mirepoix. 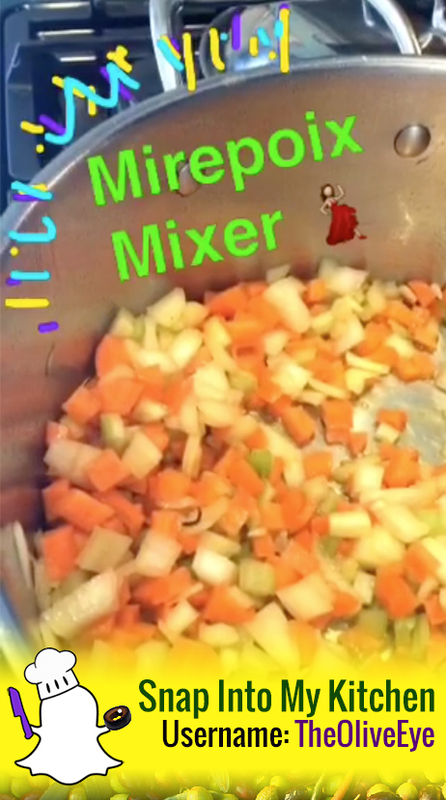 Mirepoix is a flavor base for soups and sauces that involves onion, celery, and carrots. The difference between mirepoix and battuto found in the vegan shepherd's pie that I made is that battuto has garlic while mirepoix does not. Once your bird has warmed up, heat oil at the bottom of a large Dutch oven and brown the meat on each side. Remove them from the pot, lower the heat a tad, and add your mirepoix, stirring until it is translucent. Then dump in your preferred white cooking wine before it accidentally makes its way into your mouth. Add tomatz, the duck, and then cover the pot to let it cook for two hours, or until it can easily be scraped from the bone with a fork. At this point I broke off to initiate pasta-making sequence, but if you decide to use store bought pappardelle (no shade) please remember to check on our friend every so often to make sure that his legs not burn or stick to the bottom of the pot. When the duck meat is forkably tender, remove it from the pot and let it cool off a tad. Meanwhile, busy your mouth with another glass of wine as you grate the dark chocolate. Shred the meat with your hands, return it to the pot with its tomato sauce, adding the chocolate and any additional seasoning to taste. The whole fun in making homemade pasta is getting elbow deep in flour and making a huge mess all over your kitchen counter and/or floor. Not to mention, the exceptional upper-body workout that you get from kneading dough totally legitimizes third or fourth helpings of pasta come dinnertime. Marcella's recipe which yields three standard 1/4 portions of pasta calls for a ratio of one cup of unbleached flour to two large eggs. I was raised to quadruple any recipe "just in case" so I used eight eggs to four cups of flour, keeping a lot extra handy for dusting and rolling. In prior pasta-making experience, I have found that using eggs warmed to room temperature are most agreeable when combining the dough a rather than chilly eggs from the fridge. Start by making a mound of flour onto a clean work surface and sculpt it into a little bowl with a hollow center. Crack two eggs inside of the flour volcano and whisk with a fork for about a minute until well-combined. Begin folding the sides of the flour mound into the center with the fork to start slowly combining the mixture. Unless you are Mario Batali or Swedish Chef from the Muppets, the chances of your volcano remaining intact during this step are slim to none. Do your best to catch the eggs with your hands and scrape any stragglers from your work surface into the mixture with your fork. If multiplying the portions as I did, make small, manageable batches according to Marcella's ratio of one cup to two eggs at a time as to avoid a giant, runny mess of eggy confusion. Work the mass into a ball, adding additional flour if it feels too moist, and then wash your hands to check its consistency with Marcella's simple test. If you press your thumb into the center the ball and it comes out clean without any sticky stuff on it, congratulations my friend- you are ready to knead! Otherwise, massage in a bit more flour and then test it again until you're good to go. ...Feel that tingling in your loins? That's The Need To Knead. Add more flour to your kneading launchpad and dust your hands to avoid dough from sticking everywhere. Push forward on the dough ball with the heel of your palm, fold it in half and give it a turn, repeating this process over and over again. Keep the dough rotating in the same direction the entire time so that it comes together evenly. Put on a small playlist of Danity Kane's greatest hits and go at it for eight minutes without stopping. At the end of eight minutes it should be smooth as a baby's bottom. Again, if you are working with multiple portions, keep the unattended balls tightly sealed in plastic wrap so that they don't dry out while waiting in line for a massage. Rolling out pasta dough is a beast that Animorphs dependent on your rolling device and the type of pasta that you wish to create. I used an old-fashioned Italian pasta making machine passed down from my grandparents with all the authenticity of a rickety crank and additional parts that I have no idea where to insert, much like those extra screws found at the end of assembling a shelf from Ikea. Pasta machines thin your dough by ironing it out gradually through a series of narrower openings. Pappardelle noodles are intended to be hearty suckers, approximately six inches long by one inch wide, with the approximate thickness of a Fruit By The Foot. My machine works on a series of six settings, number six producing the thinnest results. Stopping at number five produced the perfect thickness. Be sure to flour both the dough and the roller openings as you proceed through thinning process, otherwise it will get stuck to the machine and leave you with small scraps of pasta that might have been and still keep any unattended dough wrapped in plastic. It is only through making pasta that I have come to empathize with the attentive burden of that guy with a thousand Sister Wives. I cut my finished sheets of pasta into pappardelle ribbons by hand using a sharp knife, gently folded them to nests on a baking pan, and tossed a final sprinkle of flour on top to keep the noods from sticking to each other. Fresh pasta literally cooks in a few minutes or less, so you need to be a stovetop ninja when it comes time to make the magic happen. Tricycle: A large pot coated with olive oil to bring it all together. Gently drop small batches of pasta into the boiling water, using tongs to give it a quick stir, immediately tossing into the oily pan after about a minute or so to keep them, once again, from sticking to each other before tossing with sauce. Mom stood alongside and added our ragu to the pasta as I blasted through the rest of the batch. A tip to remember when marrying pasta with sauce is to add water from the pasta pot, as the starchy liquid lubricates a happy civil carb union. When everyone is present and accounted for, serve in warm bowls with a dash of fresh parsley, grated parmesan, and a sprinkle of red chili flakes if you're into that kind of thing. what should one aspire to achieve in life?